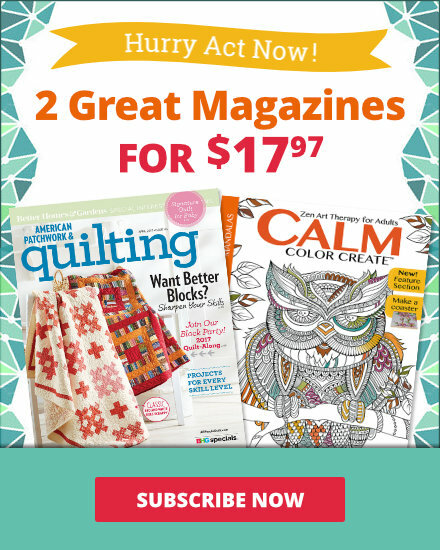 To order a subscription of American Patchwork & Quilting in the U.S., click here. For information about international subscriptions, please email apqcustserv@cdsfulfillment.com. Click here to order special books and back issues. Get digital issues of our magazines here. For questions or comments about current subscriptions visit our customer service page. For calendar and quilting book questions call 1-800-491-0647. To cancel or find out more about your subscription, please send an e-mail to apqcustserv@cdsfulfillment.com or call 1-800-677-4876 (press option #2, followed by option #1). For questions related to the editorial content in the magazine or website, please e-mail apq@meredith.com. To submit quilting projects for consideration, email a JPG of the project to apq@meredith.com, include your name, address, and daytime phone number. Projects must be original ideas and not previously published in any other form. For questions or comments related to the website’s functions, please e-mail support@bhg.com. 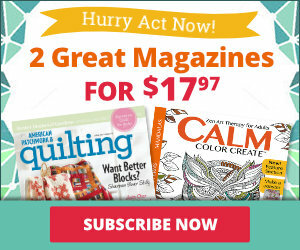 American Patchwork and Quilting is the guaranteed highest circulated quilting magazine in the industry! To put American Patchwork and Quilting, Quilts and More or Quilt Sampler to work for you either in the magazine or online please email amy.gates@meredith.com. To download our media kit, click here. 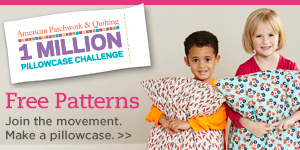 Questions and concerns about patterns purchased in our APQShop.com should be e-mailed to info@apqshop.com or call 1-888-636-4478. Every digital issue includes the pattern pieces found in the corresponding print version. To access pattern pieces, simply click on the underlined text in Cut Fabrics sections. Any Zinio technical or billing issues can be addressed on the Zinio helpdesk page here. 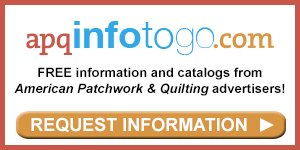 For questions or comments related to the American Patchwork & Quilting podcast, please e-mail apq@meredith.com.